Singtel’s Group Digital Life unit’s revenue has risen 10% for the quarter, driven by growth in digital marketing arm Amobee’s programmatic platform and email businesses. Amobee’s results included first-time contributions from Videology, a software provider for the high-growth segments of advanced TV and video advertising, following the completion of its acquisition on 22 August 2018. According to the results, Group Digital Life contributed 7% to the Group’s operating revenue up from 6% in the same quarter last year. The Group will as such continue to invest in building capabilities and scale the digital marketing and cyber security businesses, with a growing sales pipeline. Moreover, in Singapore, government spending on Smart Nation and cyber security is projected to increase. Taking into account the results for the half year ended 30 September 2018, Amobee is expected to grow its operating revenue by high single digit and be EBITDA positive, and cyber security revenue is expected to increase by high single digit, for the financial year ending 31 March 2019. Quoted on The Straits Times, Samba Natarajan, chief executive of group digital life, said that the telco’s programmatic business has seen progress moving forward. However, the managed media business has seen a decline in the market as customers shift from managed media to programmatic. 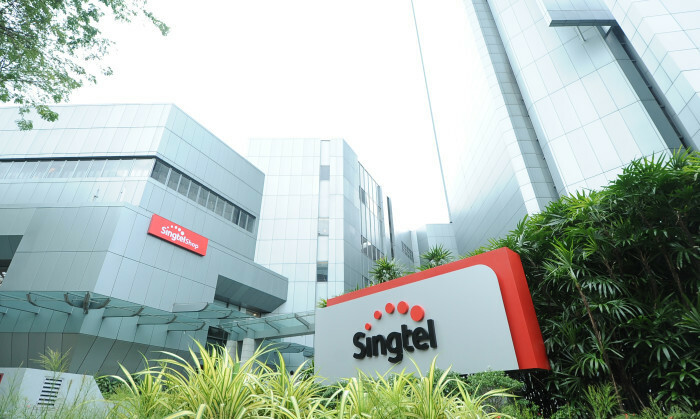 He added that given some of the Singtel’s large programmatic customers had in the last quarter deferred their spend, the group’s growth rate for the year has now been adjusted from the mid-teens to high single-digits. Mobile streaming service HOOQ also showed positive momentum, doubling revenue from a year ago by leveraging new distribution partnerships in India and Indonesia. HOOQ strengthened its content suite with the release of its first original Indonesian series, crime thriller Brata, which was well received. HOOQ had also joined hands with Xiaomi to enable more Indonesians customers to access HOOQ when they buy Xiaomi’s new Smart TV, the Mi TV 4A. According to a statement, the partnership between the two underscores both companies’ commitment in offering the best value products to meet the demands of digitally-savvy Indonesians. Consumer revenue in Singapore also rose 5% for the quarter. Mobile revenue increased 7% on strong equipment sales as premium handset launches were used to drive customer acquisition and retention. Singtel added 41,000 postpaid mobile customers – the strongest in six quarters, and churn was reduced. Mobile service revenue continued to be impacted by the erosion in voice revenue although this was partially mitigated by the growth in data and digital lifestyle services. Home service revenue rose 4% boosted by the 2018 FIFA World Cup. A new Chinese entertainment and lifestyle channel called e-Le was launched and offered to Singtel customers. The advertising-driven channel has been well received, attracting over 470,000 viewers in the one month since its launch. Singtel’s overall results for the first half, with operating revenue up 3% in constant currency terms to SG$8.40 billion, underpinned by strong postpaid mobile customer growth and higher equipment sales across Singapore and Australia. Net profit was down 60% from the same period last year to SG$1.50 billion, due largely to an exceptional gain from the partial divestment of NetLink Trust. Excluding the one-off items, underlying net profit fell 21% due mainly to lower contributions from Airtel and Telkomsel, and a stronger Singapore dollar against the regional and Australian currencies. The combined mobile customer base of the Group and its regional associates reached 717 million as at 30 September 2018, down by 18 million or 2.5% from a quarter ago on declines in Airtel and Telkomsel due mainly to churn of inactive customers. Airtel recorded weaker earnings adversely impacted by lower domestic and international mobile termination rates and sustained pricing pressure in India, partially mitigated by improved performance in Africa. Telkomsel’s lower earnings were due to steep decline in voice and SMS revenues partially mitigated by higher data and digital revenues. Compared to the preceding quarter, however, Telkomsel’s profit contribution improved by 22% on data price increases in selected regions. Consequently, underlying net profit declined by 22% (18% in constant currency terms). The net exceptional loss (post-tax) of S$48 million (Q2 FY2018: S$1.94 billion of net gain) in the quarter comprised mainly of staff restructuring costs. With an exceptional loss compared to a significant exceptional gain including S$2 billion of gain from sale of units in NetLink Trust in the last corresponding quarter, net profit declined 77%. The Group says however, that it has successfully diversified its earnings base through its expansion and investments in overseas markets. In the regional associates’ markets, mobile data remained the key growth driver. Strong performances from Globe in the Philippines and Airtel Africa mitigated lower contributions from Airtel in India and Telkomsel in Indonesia. Airtel’s results were negatively affected by intense competition and mandated cuts in mobile termination rates in India. In October, the inaugural PVP Esports Championship, a multi-title and regional league, played to a sold out crowd of more than 3,000 in Singapore over three days, and more critically, drew over 13 million global viewers through the Group’s content platforms and content partners. MediaCorp’s Spouse for House ad: “Annoying” its way into viral status? Next week, the 44-year-old history sailing competition Volvo Ocean Race will stage a stopover of the race in Hong Kong for the fir..